Researchers are increasingly applying cognitive methods to investigate social psychological phenomena. 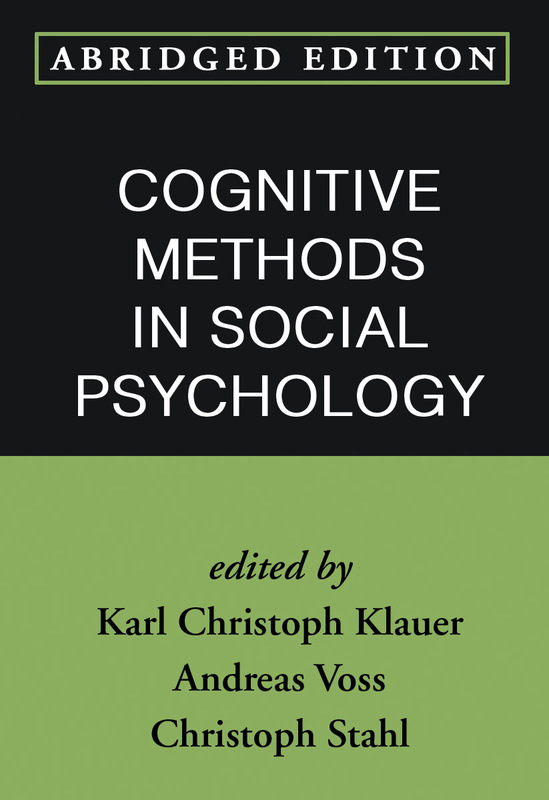 This book provides a comprehensive introduction to widely used social cognitive methods and offers practical, nuts-and-bolts guidance for implementing them. Leading authorities present attentional paradigms, priming paradigms, and response interference tasks; psychobiological approaches, such as neuroimaging; applications of mathematical models; and other methods. Detailed procedural information helps researchers and students take their first steps in using these state-of-the-art tools. Each chapter is illustrated with recent research examples and includes helpful recommendations for further reading. Note: The hardcover edition of this book contained a chapter titled "Priming as Proxy: Understanding the Subjectivity of Social Life," by D. A. Stapel. This chapter has been retracted by joint decision of the publisher and the book's editors.